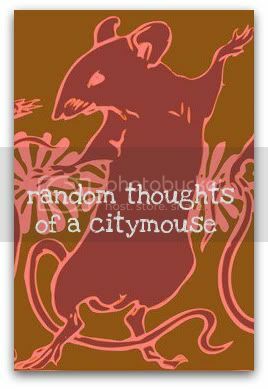 Random Thoughts of a Citymouse: et tu, brute? So the band aside, we have the wonderful Bard to thank for our cognizance of The Ides of March. (I wonder if he was alive and well these days if he'd be known as Will.I.Am Shakespeare?!) The term ides was used to indicate the middle of the month on the Roman calendar. 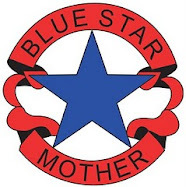 March, May, July and October recognized this on the 15th and the other months used the 13th to signify the middle of the month. In modern times, our thoughts turn to Caesar on March 15th. Shakespeare immortalized the assassination of Julius Caesar, which occurred on March 15 44BC, in his play of the same name. So what is it about the Ides of March that fascinates us so much? I think it is about the basic crime of betrayal. Most of us go through life with only a small core group of people we truly trust. Sure, we're friendly and cordial to people, but I think we are careful about to whom we totally let our guard down. Hearts are fragile things and easily broken. Speaking for myself, I try to be careful who I let into my heart... be it family or friend. That's not to say that I don't have real and lasting relationships with people outside that core, because I do.. I just know where things stand. (I also get burned sometimes.) Poor old Julius let his guard down... and when his best bud Brutus came down on the other side of his loyalty, Caesar was shocked. Thus the famous line, "Et tu, Brute?". When our core peeps misuse our trust, it makes us stop and consider everything else in our lives. We have to reassess. If we are wrong about this person we trust, what else are we wrong about? It is unsettling and has far reaching implications. Many times when we think of betrayal in relationships, we think of a husband-wife scenario. We probably all know of a couple whose relationship succumbed to the insidious aftermath of a breech of trust. Yet, I think we encounter betrayal more frequently on a much less catastrophic basis. When someone we trust chooses to hide their real selves from us, it undermines the relationship we believe we have with that person. How can we have a relationship with a person when we don't really know them? Can a relationship be pure when someone is hiding what they really feel or who they really are? If this person is within the "chosen few", our world starts to crumble a little. At the end of the day, we have to ask ourselves if this is where we want our energies directed. If something doesn't enrich our lives and bring it some benefit, do we really need or want it? Relationships are always a two way street, but if you are the only one who is being honest, you are hitting a dead end. So what else can we learn from Caesar? Well, he was admonished and didn't heed the warning. That should be a big lesson right there. The real interesting end to his story is that the Roman senators were looking to change how things were run. By killing Caesar, they hoped for some freedom from his reign but in reality, their actions ushered in the end of the Roman Republic and the ascendancy of Octavius as Emperor of Rome. A real out-of-the-frying-pan-and-into-the-fire maneuver. The moral of the story is threefold: be cautious who you trust, pay attention and be careful what you wish for. Very true! I totally forgot it was the Ides today! Thanks for the reminder and the interesting history! Interesting! That is the exact same video that I posted yesterday (sans the interesting history).